Nick Papadopoulos is a journalist, self-taught photographer, and a professional photographers' agent, based in London. He embarked on his passion for photography during his late teens but it wasn’t until 1995, at the age of 24, during a three-month holiday through 13 countries and 22 cities, that the beauty of the world revealed itself to him and his lust for travel, photography and adventure truly began. In 1999 Nick seized an opportunity to move with his partner to Hong Kong -- where he worked briefly at the Far Eastern Economic Review before joining Time magazine as Editor of their award-winning website -- and countless voyages in the region followed: Cambodia, China, India, Indonesia, Japan, Laos, Mongolia, Myanmar (Burma), Singapore, Taiwan, Thailand and Vietnam. 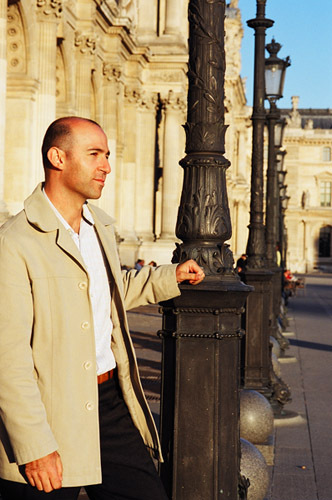 In September 2004 Nick once again moved continents, this time following his partner to the City of Lights and the birthplace of photography, Paris. Inspired by the beauty of the city, and feeling the need to change direction professionally, he secured a job as International Director of the world-renowned VII photo agency, where he represented, over a period of nine years, 23 award-winning photojournalists. When not supplying the world’s media with photography, he is travelling through Europe, camera at the ready. Nick was born in Sydney, Australia, in 1971 and is the son of Greek immigrants.